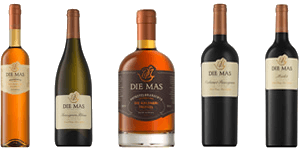 Die Mas is a tranquil destination on the Orange River bank in the town Kakamas, a mere 80km from Upington in the Northern Cape Province. The region boasts unique climatic conditions, where the waters of the powerful Orange River and the clear African skies bring life to the rich soil of the semi-desert region. This is where we grow our main crops of grapes. The farm was established by the Hanekom Family in 1970 and has since grown to much bigger business. 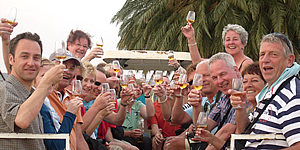 Visitors can expect a unique combination of export table grapes, raisins and award-winning wines and brandies at our wine cellar for a memorable experience of our hospitality and products. 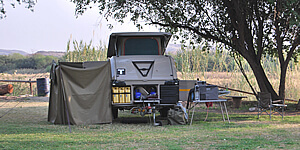 Die Mas plays host to quaint self-catering chalets and a scenic campsite along the banks of the Orange River. It is also furnished with a cosy Lapa restaurant offering delicious food and drinks on selected days and is also available to hire for special occasions and weddings.